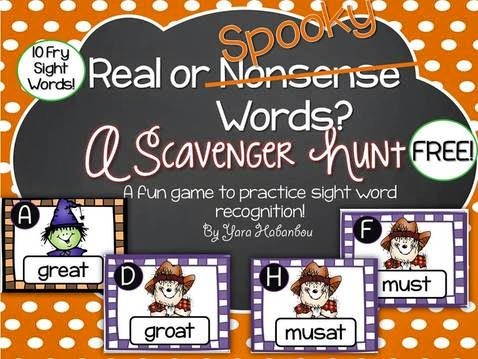 Just print (there are many options on how you could print this - if you're saving, just print two pages on one A4 page and cut out the cards if students are working in a group and if you are hanging the cards around the classroom, it's preferable that you actually print each page on one A4). 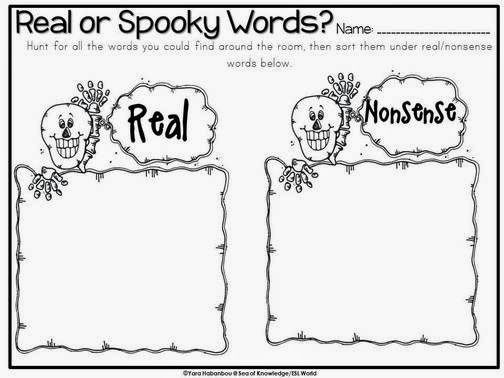 Have the students walk around the classroom and find the 'real' and 'spooky' words. SO much fun!